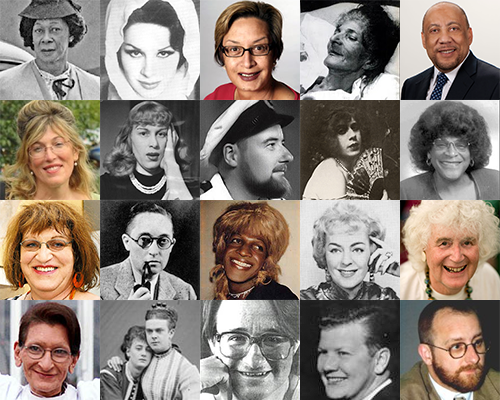 Below we’ve collected links to profiles on trans and gender diverse people for LGBT History Month. We know there are hundreds more we could have featured, including community champions who are rarely recognised – leave us a comment if you would like us to add a name. The vast majority of the people featured below are from the UK or US and we would appreciate any other international links too. We’ve tried to link to articles that avoid language that is not in keeping with how historical subjects lived their lives. So often gender diverse historical figures are reduced to their gender assigned at birth, which is taken to be more “truthful” than the gender they expressed, embodied and in many cases explicitly identified as. Nonetheless, many, if not all, of these articles and blog posts contain references to distressing themes and experiences. These include death, sexual abuse, violence, surgery, rejection and persecution by the law. Bear this in mind when you are reading. At the same time we see the resilience, brilliance and community spirit of trans and gender diverse people whose legacies have made our work possible today. There is so much to celebrate and to fight for.